Cut flour tortillas into large squares and then divide each into quarters. Next, coat the muffin tin liberally with nonstick cooking spray. 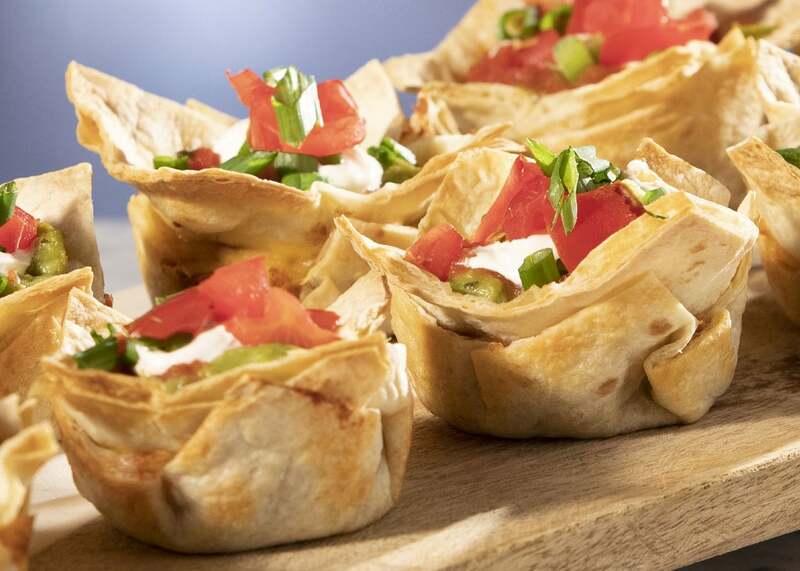 Place a tortilla sheet in each cup. Add a spoonful of refried beans into each cup. Sprinkle shredded cheese over each sheet. Place another sheet on top of the bean/cheese mixture and press so it flattens. Bake for 15 minutes. Next, add a spoonful each of guacamole, sour cream, and salsa into each cup then top with green onions and tomatoes.